Home security is a major issue that affects millions of homeowners nationwide. There are many ways to protect your residence, and doorbells that feature WiFi capabilities are one of them. But choosing what works for you and your family can be challenging. We've all been there — trying to see who's at the door without being seen. It's why the internet is inundated with users searching for doorbell camera reviews and video doorbell reviews. We want the convenience and security of knowing what's happening outside without opening the door. Are you one of those individuals looking to add an extra layer of protection to your home. Do you want the convenience and security of live monitoring at your front door? Then the choice to install the Vivint Doorbell Camera is a great solution. What's so great about a video doorbell? Doorbell camera reviews are widely searched for good reason. A video doorbell, or doorbell camera, improves home security — especially doorbells that are WiFi-enabled and allow you to remotely monitor your home and receive activity alerts when you're away. And while there are a number of doorbells to choose from, a doorbell camera from Vivint Smart Home ensures you always know what's happening on the other side of the door. Small, discreet, and virtually unseen, it keeps an eye on your front door, so you don't have to. Plus, the doorbell camera looks like an existing doorbell, so it blends in with your home's exterior. 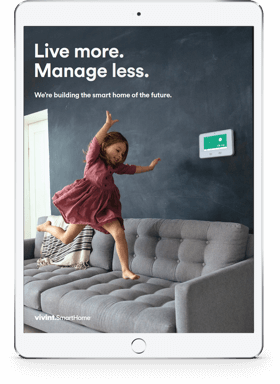 A video doorbell works much like a standard webcam, displaying a live video feed to your mobile devices like a smartphone or tablet using the Vivint Smart Home app (available for free on iOS and Android). As soon as someone approaches the video doorbell – even if they don't press the doorbell button – the camera feature comes to life, immediately recording video and audio and sending alerts to your handheld device or smartphone. It doesn't matter whether you're upstairs, at the gym, or across the country — your doorbell camera will continue to monitor what happens on your front stoop. The doorbell camera realizes its greatest potential when integrated with other smart products in a smart home. For instance, when integrated with a smart lock, you can see who's on your porch, talk to them, and unlock your door, all without ever leaving your couch. 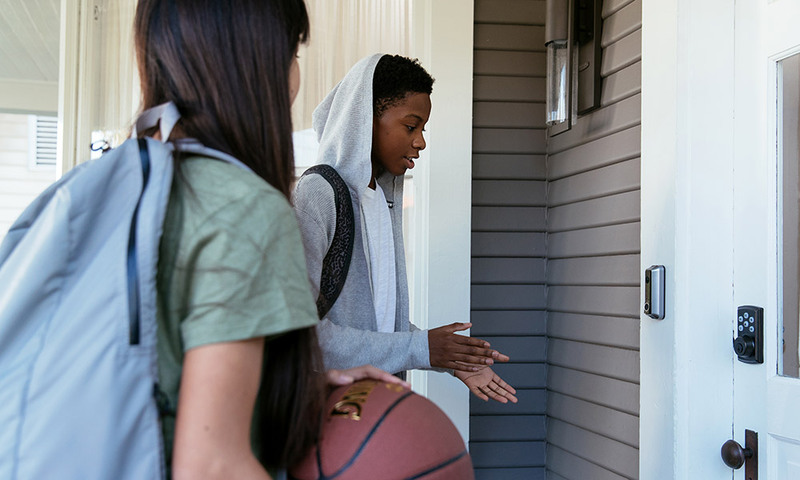 Smart home systems with doorbell cameras installed let you connect with visitors on your front porch with instant two-way talk. This is valuable if your hands are tied and you can't make it to the door, or to let the neighbor kid know your son isn't home right now. 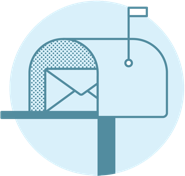 If a delivery person drops by a package when you're not home, you can speak with the person and open your garage for them to leave the package inside. If you have outdoor cameras installed you can monitor the person placing the package inside the garage and close the garage again – all from one app. If you're away from home and don't have a way to monitor your door, a WiFi-enabled video doorbell not only captures quality video in real time but stores it in the cloud so you have the option of later viewing. In a meeting and miss the doorbell? At home in the shower and not sure who's trying to gain access to your home? No problem. Cloud storage makes it easy to review the doorbell camera footage at your convenience to keep abreast of all the comings and goings in your neighborhood. The doorbell camera features a 180-degree HD lens, giving you a crisp view of your doorstep. The wide view is favorite feature of parents who can watch their kids playing in the front yard. With 24/7 visibility — that means clear night vision — you can see in real time who's at the door. This provides you with the opportunity to answer or ignore the visitor or, in dangerous situations, instantly alert the authorities. The doorbell camera provides alerts that matter – people and what they're doing on your doorstep – not random alerts for stray dogs, swaying trees, or passing cars. The doorbell camera is on an encrypted wireless network and has a dedicated cell connection to keep your video and other smart products secure. If, for some reason, the power goes out in your home or neighborhood, your system keeps working with battery protection. The video doorbell reviews are in: Keeping your home safe doesn't have to be an around-the-clock job. 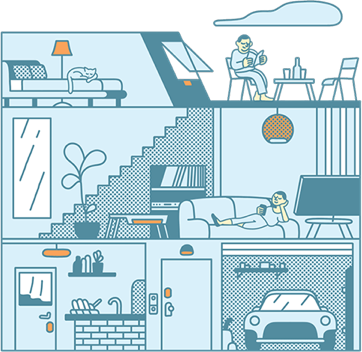 The right high-tech safety measures and the convenience of WiFi connectivity can boost your security and keep you safe and secure inside your home. "While my wife and I were at work ... we both received [a notification] that a visitor was detected at the front door which we were able to watch live as a man who we did not know was trying to break into our home. I immediately called 911, left work and came home as quick as I could. The suspect had been apprehended before I arrived. Upon my arrival, I was informed he was trying to get into other houses. Without the live feed of the door bell we would not have been notified and he could have potentially broken into other homes. I'm a life long customer..." - Ethan K.
"Since having Vivint installed I sleep much better knowing my house is secured! I especially love that I can look in on the house and see who is ringing my doorbell at any time. This works extremely well if you're waiting on a package and [nobody] is home. My family loves it as well!" - Keisha S.
* All reviews are TrustPilot reviews of Vivint Smart Home customers. When it comes to protecting your family, you deserve the best. Why not upgrade your existing doorbell and install today? Our team of home security professionals at Vivint can show you how a video doorbell can help you feel more secure and get you setup!